While still in his teens, American born guitarist/singer Mark Lizotte was snatched from his bar band in Perth and launched on to the Australian charts as the leader of Johnny Diesel and the Injectors. A career was born and now some 30 years laterDiesel is still rocking Saturday nights around the nation. Johnny Diesel and the Injectors moved from Perth to establish themselves in Sydney in 1987. 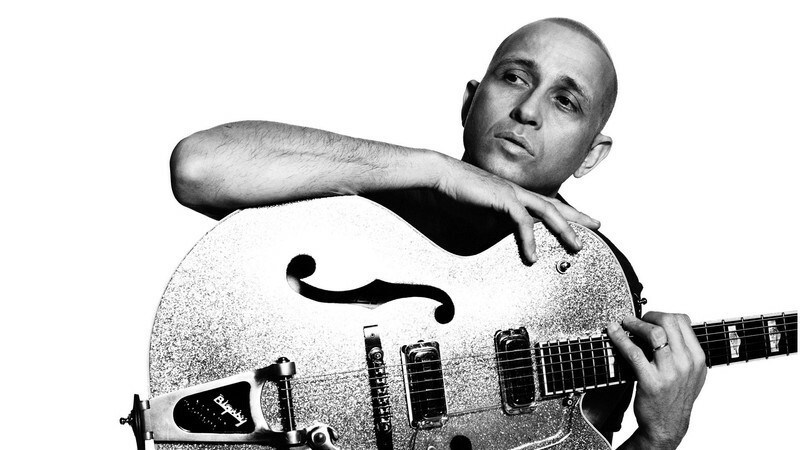 They quickly became known for Diesel's extraordinary versatility on the guitar and his rich, soulful voice. The debut album shipped platinum and entered the charts at #2. It was the biggest-selling album of 1989. ‘Hepfidelity’, Diesel's first album under his own name in 1992 was a mega-platinum smash and earned him ARIAs for Best Album and Best Male Talent. He is one of only a select few Artists to win a Best Male Talent ARIA three times (along with John Farnham, Alex Lloyd and Gotye). The next albums –‘The Lobbyist’ and ‘Solid State Rhyme’ confirmed his status as one of Australia's most significant recording artists. A non-stop six years that included extensive touring, recording and starting a family was capped in 1996 with the ‘Short Cool Ones’ project that he cut with blues harp player Chris Wilson. Diesel then scored a residency at the prestigious club Arlene's Grocery. He was discovered all over again, this time by Mammoth Records who teamed Diesel with legendary producers Jerry Harrison and Gavin Mackillop for the ‘Lost Soul Companion’ album. In 2002, Diesel and family moved back to Australia. He assembled a band and also began gigging as a solo artist. The 2005 album ‘Singled Out’ put Diesel back on the radio and gave him a hankering to pump up the volume again. It also marked a new phase in Diesel's career, and time for a new album. 2006's ‘Coathanger Antennae’ was recorded in two months with Diesel backed by bassist Richie Vez and drummer Lee Moloney. Back in Australia, and back on a roll, the albums and the tours kept coming—original albums adorned with radio hits followed with ‘Days Like These’ in 2008 and ‘Let It Fly’in 2013 interspersed with his now signature original and masterful renditions of rock, soul and blues classics via the themed albums ‘Saturday Suffering Fools’ in 2009, ‘Under The Influence’ in 2011, and the triumphant ‘Americana’ album in 2016. Diesel is celebrating 30 years in music with a newly curated collection of songs. The new album Diesel 30 – The Greatest Hitsis out now and features 14 Top 40 hits, including Tip Of My Tongue, Come To Me and Soul Revival...plus the new song, Give Me Saturday Night. Continuing to light up Saturday Nights on this special 30th anniversary tour, Diesel has now added a bunch of solo shows to his Give Me Saturday Night National Tour. Don’t miss Diesel performing a 'best of' collection of tracks in solo mode in venues across the country.